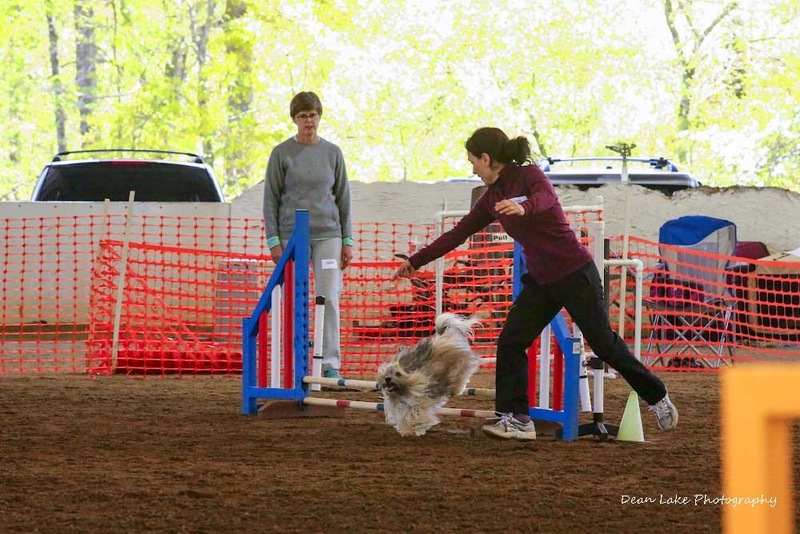 This week, agility bloggers from across the world, participated in Dog Agility Blog Action Day. Every quarter we're given a topic to inspire us and write about. And since this week's topic was Success, I thought it would interest our active, FitDog Friday pals, too. So today, we're mashing up our Dog Agility Blog Action Day post with FitDog Friday. What does success mean to you? Is it winning? Participating? Getting your next title? Having a brilliant training session? Going on a great hike with terrific pals? After we thought about it for a while, we realized that success is subjective and can change as often as you change your own personal goals. There's long-term success and short-term success. Success for today and success for a year. Success when you're injured and success when you're healthy. When I had shoulder surgery a few years back, success was being able to get my hand behind my back! So back to Dog Agility Blog Action Day… whether you do agility or not, I think you'll find plenty of interesting and inspiring articles among this list of bloggers who posted on the topic of success. Great teamwork and a Q! 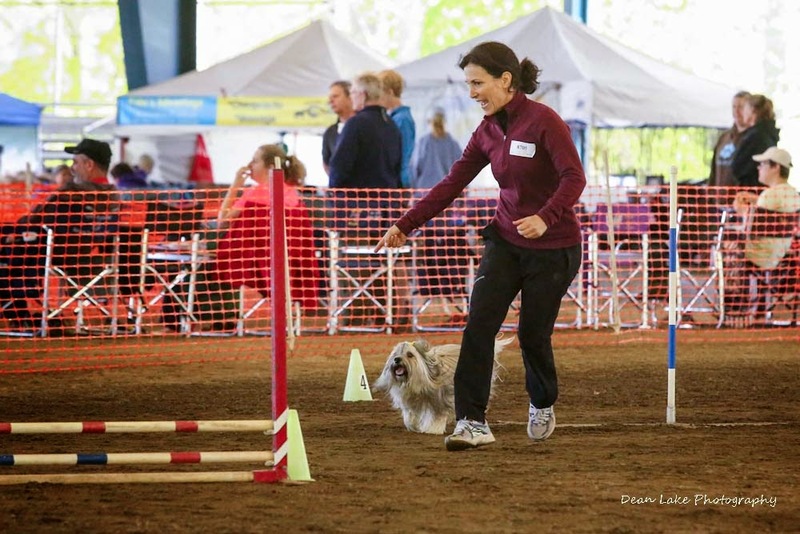 At the moment, agility success to me is keeping Rocco in top condition so we can continue to compete and have fun in agility for a long, long time. We're doing core conditioning, strengthening exercises, stretching and exercises that give us stamina -- for both of us, I might add! Because for us, we define our agility success as a team. For those of you who were here last FitDog Friday, Rocco has completely recovered from his neuter surgery and he's up and zooming again. I'm pretty sure Rocco would say that's a success! I made it my goal this year (and forever!) to eat better and exercise more… so that I can keep up with Rocco and just feel better all the way around! So far, that's a success! Having some fun on the way to another Q! No excuses is a success! I'm not too old (or too short! ), Rocco's not too short or too fluffy (or too distracted!) to achieve success. We can work through who we are, use it to our advantage and find a way to reach our goals. So far, as an agility team we're doing pretty well. Of course, as anyone will tell you, having fun as a team should be your first goal. But I got to admit, it sure was a lot of fun to start posting qualifying runs right out of the box. There, I've said it! Winning is just more fun than losing… but that's just where we are right now. Rocco's haul at a USDAA trial. We thought this was pretty darn fun… and a success! In Rocco's second USDAA trial, we also earned our first title -- in Snooker! Now THAT was a lot of fun… and a success! We're looking forward to more agility trials in the fall, but for now, we'll find our successes in good training sessions and other fun activities like hiking and learning new tricks. Because ultimately, even though it's awesome to win, we just want to have some fun. And that's a success! What's a success in your book? I wish we knew about this!! 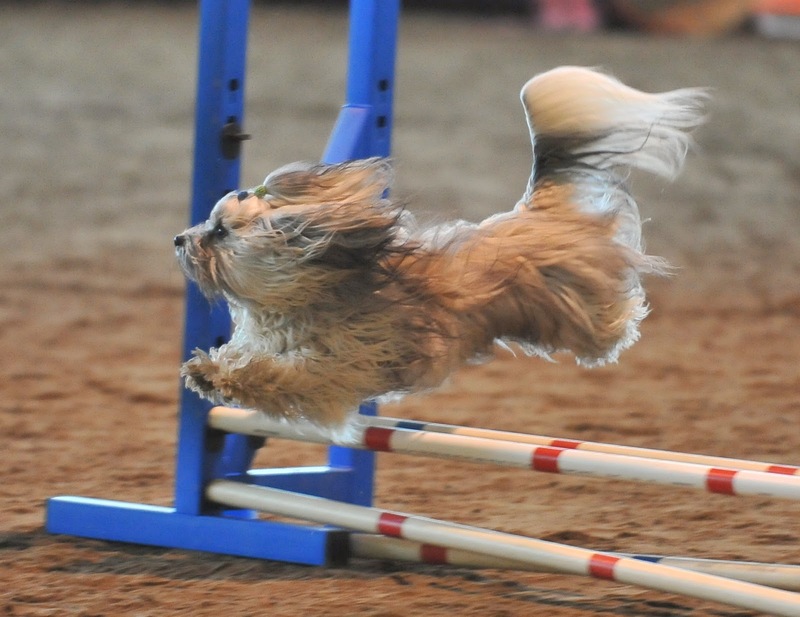 We have so much fun with agility, though Riley still has not competed yet... just 1 FEO :) I really loved this post!! I don't aim to compete. We do things to spend time together, bond and have some fun. When that is accomplished, that is success. We just take agility classes for fun and fitness. All of my teachers have tried to talk me into registering for a trial of one sort or another but I consider working as a team with my dogs whether it is on a walk, on a course, or on a long road trip, a success! I guess doing activities that make us both happy. Titles and ribbons certainly don't hurt though! Have fun with the training. Good luck and we hope you get lots of ribbons. Have a fabulous Friday. Great life lesson. It isn't about meeting other's goals. It is about deciding what you what and sticking with it. Looks like success ful partnership to me! Well done - both of you. Way to go Rocco! You have succeeded for sure! Love this idea too! You tow make an awesome team!! You are going to need an new wall for all of those ribbons!! Congratulations!! Ummm..make that two! I really need to not hit the publish button so quickly! BOL! Of course, winning is success, but for us right now, success is just working together as a team on our nose work ad hopefully starting to compete in a few months. What a great post! Success really is subjective and it does depend on where you are "at" right now. For Veruca and I success is making sure we get outside, enjoy the summer, and don't let work overshadow all the fun.